SALISH SEA — The second annual Turning the Tide: Peoples’ Paddle for the Salish Sea will push off from the Dolphin Dock in North Saanich, BC on Friday morning at 8:00 am, mobilizing an on-the-water community to celebrate the Salish Sea and demonstrate the unwavering commitment of participants to protect the coast from the threat of tarsands, tankers and pipelines. 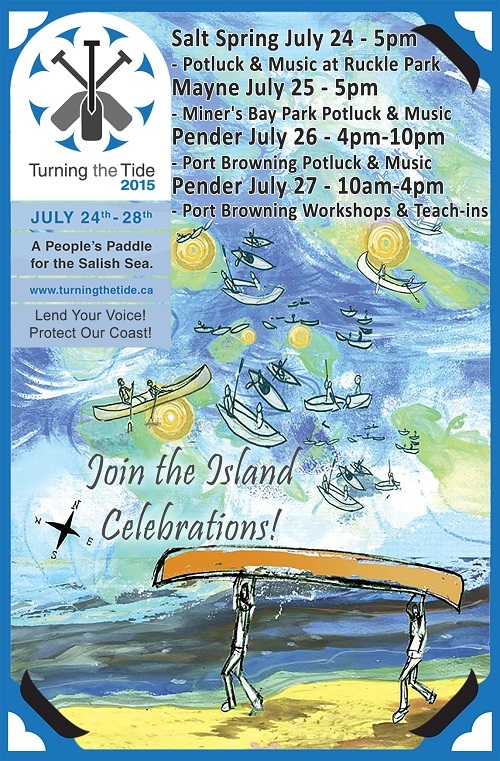 The people-powered flotilla, which is spearheaded by the Turning the Tide committee in concert with a number of organizations, with embark on a five-day paddle through the Southern Gulf Islands with overnight stops and community celebrations at Salt Spring, Mayne Island and Pender Island. 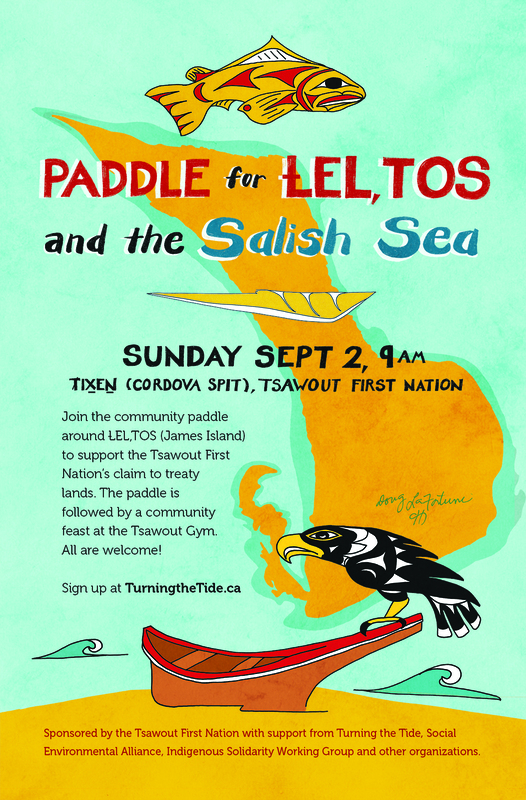 The Turning the Tide paddle has reached capacity with 100 registered participants, from open-water swimmers, to sailors, to self-propelled paddlers travelling by canoe, kayak and rowboat. The participants range from toddlers to senior citizens and include residents from across British Columbia and elected officials from Port Hardy at the top of Vancouver Island to municipalities including Central Saanich and the City of Victoria. 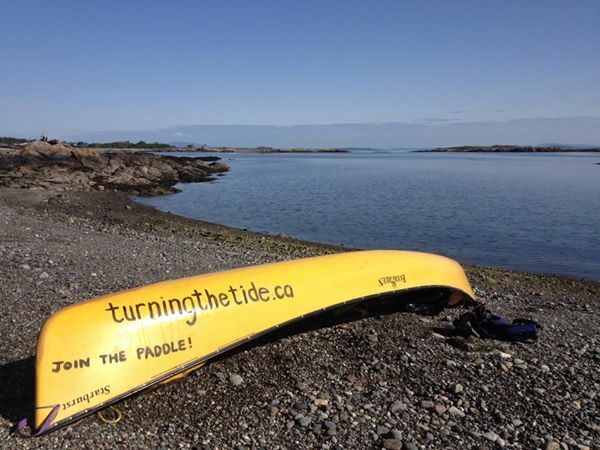 The Turning the Tide paddle embarks from Dolphin Dock, adjacent to the BC Ferries Swartz Bay ferry terminal off Dolphin Road and Barnacle Road, on Friday July 24th at 8:00 am. Community gatherings are taking place on Friday, July 24th at Ruckle Provincial Park, Salt Spring Island, Saturday July 25th at Miners Bay Park, Mayne Island, and Sunday July 26th and Monday July 27th at Port Browning, Pender Island. The paddle returns to Vancouver Island on Tuesday July 28th. Visit http://www.TurningtheTide.ca to learn more and get involved.